Once you have accomplished something (winning the NBA title in 2012), it’s difficult to go through the process all over again in the following season (2013). It’s physically and mentally demanding,but we mature as players and want to excel, opined Chris Bosh of the Miami Heats. Led by Thunder Bolt (not Usain Bolt) and the Best Spiker awardee Amir Ghafour along with Hamzah Zarini and another awardee, Best Blocker Mohd. Mousavi the team coached by the brilliant, master strategist Julio Valesco, Iran retained the Asian Championship belting Korea in straight sets on Sunday last at the Hamdan Sports Complex in Dubai. Clinical performance by the Iranians who conceded just one set in the entire championship to the Koreans in the preliminary stage gave the much needed confidence to the coach to rest his prolific scoring machines Amir Ghafour and Hamzah Zarini in the match against Kuwait to test his bench strength and they didn’t belie his expectations. At around the same time the Iranians clinched the Gold Meal beating Egypt 3-1 at the Islamic Solidarity Games held at Pelambang, Indonesia. Before the championship began, Julio Valesco said, every team in Asia want’s to beat Iran, because Iran is the team which has set the bench mark on the world stage. The players should feel proud of the fact that they have set a very high bench mark. He opined that the team played to it’s potential and executed his plan to perfection. They beat the Gary Sato coached Japan 3-0 in the semis and thrashed the hapless Koreans 3-0 in the finals. Compounding the misery for them,their coach Park Kiwon got injured in freak accident trying to avoid a deflected smash in an earlier match tearing his ligament and still exhibited grit and gumption when he came in a wheel chair and plaster cast for the finals. Of course, the Koreans sorely missed the hero of their semi-final victory Jeon Kwangin due to injury. 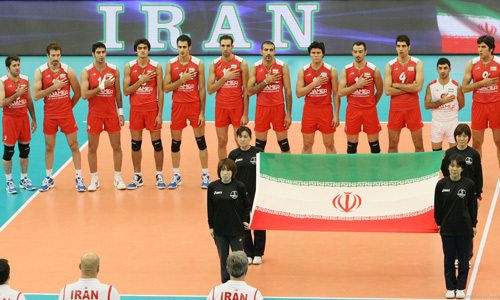 The bulk of the special awards were won by the Iranians,Best Spiker (Amir Ghafour), Best Blocker (Mohd. 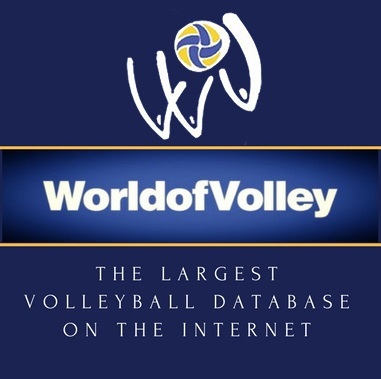 Mousavi, he has an award on the bigger world stage too), Best Setter and MVP (Captain of the team Saied Marouf), Best Libero (Frahad Zarif). Iran played their heart out against the stronger Europeans and Latin American teams in the World League earlier in the year. The strength of any Volleyball team is not in the individual, it’s in the team. Having retained the Asian Championship on Sunday (6th October 2013), the next stop for my fellow Asians and flag bearer’s of Asian men’s Volleyball is Nagoya, Japan where they will lock horns with the Continental Champions of Europe (mighty Russians who are on a role),Latin America (Brazil), NORCECA (USA) and hosts Japan at the Grand Champions Cup scheduled for the month of November. All the very best to them and hope they come up trumps against the best in the business. My fellow countrymen, India finished 7th having lost to China in the quarter-finals after winning the first set. The absence of a LIBERO did cost the team. As the Seventeenth Asian Men’s Volleyball Championship came to a close the Iranians have left the others to fight for crumbs and moved on to greater glory. Congratulations and wishing them the very best of luck at the World Club Championship scheduled from 15th to 20th October at Betim, where Asian Champion club Kalleh of Iran will lock with the best on the biggest stage.